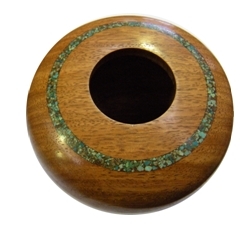 Adding stone inlay to turned pieces can deliver amazing results. This way we know you are getting good quality Australian product. In total we will carry around 12 different types of inlay material and a number of these are now available for sale. Please select the icon below and have a look at some of the range of Australian stones we have on offer. 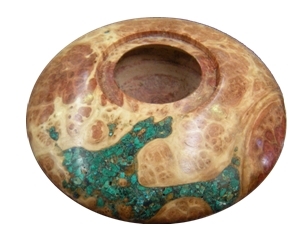 The stones are sold in 50 gram bags and stones are graded into different sizes of stone.